Banking mergers in the Arab Gulf states are as rare as hens’ teeth. But they could become more common as governments in the region look for new assets to sell to help fix the fiscal mess caused by low oil prices. A union of majority state-owned National Bank of Abu Dhabi (NBAD) and First Gulf Bank (FGB) is a case in point. Combining both lenders into one big bank with total assets worth around 627 billion dirhams ($171 billion) makes strategic sense. Established in 1968 as the emirate’s first bank, NBAD is known for playing a major role in supporting government projects and state-owned companies: it helped finance strategic government schemes such as the $3.5 billion Dolphin underwater natural gas pipeline, which links the sheikdom with Qatar. FGB’s business hinges more on the domestic retail banking sector, having of late cut back on its corporate and investment banking divisions. Despite the 57 percent drop on oil prices in recent years, both banks remain profitable. NBAD and FGB have a healthy return on equity of 12 percent and 18 percent respectively. But the longer oil prices stay down, the more returns will suffer. And judging by the 10-percent-plus jump in the shares of both on June 19, combining cost bases could add value. That in turn could help the emirate. Abu Dhabi owns almost 70 percent of NBAD, and smaller bits of FGB are held by sovereign wealth fund Mubadala and Abu Dhabi royal Sheikh Tahnoon bin Zayed al-Nahyan. If the state sells its more valuable stake in the larger combined bank through an initial public offering on the local exchange, it would help its under-pressure finances. Last year Abu Dhabi had to cut spending by as much as 20 percent, according to some estimates. It would also be no more than what its neighbours are doing: to make up a similar shortfall in revenue, neighboring Gulf states such as Saudi Arabia are looking at sales of key assets such as Aramco. There are 50-odd banks operating in the relatively small market of the seven individual sheikhdoms which make up the United Arab Emirates. It would be surprising if the same is true in a few years time. National Bank of Abu Dhabi (NBAD) and First Gulf Bank (FGB) said on June 19 they had entered into merger talks. A deal would create a bank with assets worth around 627 billion dirhams ($171 billion), according to a Reuters report. Talks come as Abu Dhabi cuts spending to cope with lower oil export revenue. Oil prices, which have fallen 57 percent over the last two years, are forcing many Gulf governments and state-owned companies in the region to tighten their belts and sell assets. 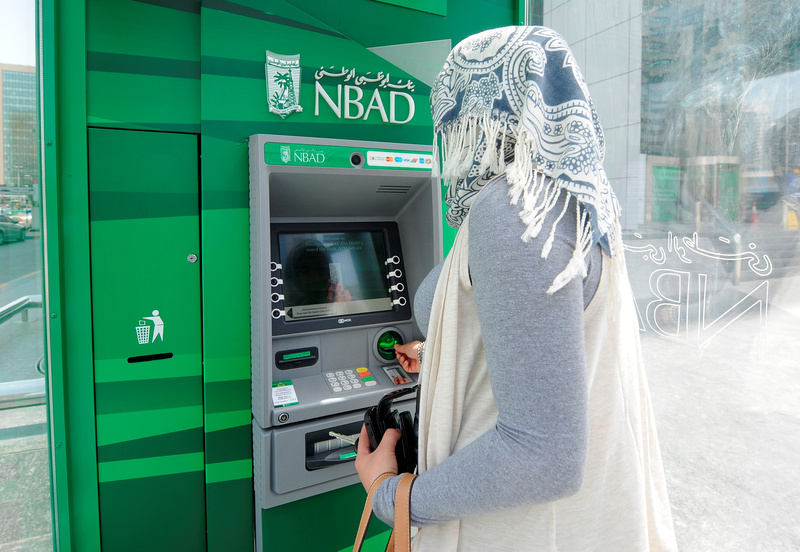 Shares in NBAD rose by 15 percent to their daily limit on June 19 and climbed a further 4.57 percent to 9.62 dirhams on June 20, while FGB climbed 11.5 percent on news of the merger but fell 3.44 percent to 12.65 dirhams a day later. Neighbouring Saudi Arabia is planning to sell a minority stake in its state-owned oil producer Aramco to raise funds.